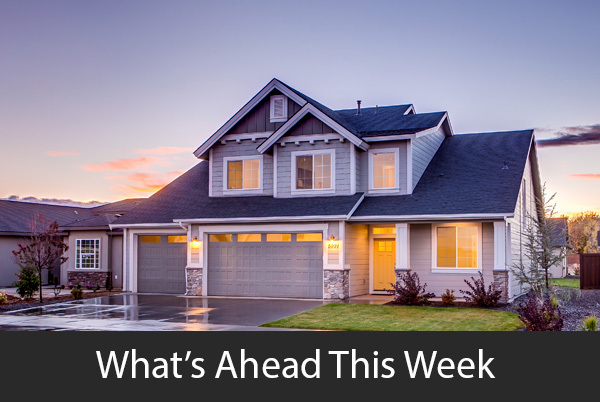 Last week’s economic news included readings on sales of new homes and pending home sales. A reading on consumer sentiment was also released along with weekly reports on mortgage rates and new jobless claims. According to Commerce Department readings on new home sales, the pace of sales slipped close to a two-year low in September; new homes sold at a seasonally-adjusted annual pace of 553,000 sales. September’s reading was 5.50 percent lower than for August and was 13.20 percent lower year-over-year. Analysts expected a reading of 620,000 sales; August’s reading showed an annual pace of 585,000 new homes sold. Real estate pros reported a 7.10-month supply of available homes, which was a six-year high. A six-month supply of homes for sale is considered a normal inventory in many markets. Home prices had a median of $320,000 in September, which was 3.50 percent lower year-over-year. Strong demand for homes coupled with limited supplies have caused home prices to rise and buyers to compete with cash-buyers and ever escalating home prices. Rising mortgage rates and few choices of available homes have sidelined moderate and first-time buyers. The National Association of Realtors® reported rising pending home sales, which provided hope for lagging home sales. Pending sales are sales for which a purchase contract is signed but the sale has not yet closed. Pending home sales had an index reading of 104.6 in September as compared to 104.1 in August. No change from August’s reading was expected in September. The pending sales index pending home sales index was one percent lower year-over-year. Pending sales rose 4.40 percent in the West; The Midwest posted a gain of 1.20 percent and the South posted a negative reading of – 0.40 percent. The South posted a negative reading of -1.40 percent in pending home sales. Pending home sales are considered a predictor of completed sales and new mortgages. Freddie Mac reported higher average mortgage rates last week. Rates for a 30-year fixed rate mortgage rose one basis point to 4.86 percent; the average rate for a 15-year fixed rate mortgage rose three basis points to 4.29 percent and the average rate for 5/1 adjustable rate mortgages was four basis points higher at 4.14 percent. Discount points averaged 0.50 percent for 30-year fixed rate mortgages, 0.40 percent for 15-year fixed rate mortgages and 0.30 percent for 5/1 adjustable rate mortgages. First-time jobless claims rose last week to 215,000 new claims filed. Analysts expected no change from the prior week’s reading of 210,000 new claims filed. The University of Michigan reported a dip in its consumer sentiment index for October. September’s reading was adjusted from and index reading of 99 to 100.1. October’s reading was 99. Lower consumer sentiment was based on stagnant wage growth according to analysts. This week’s scheduled economic news includes readings from Case-Shiller on home prices, Labor sector reports on private and public sector employment and the national unemployment rate. Previous Post Could Fed Interest Rate Hike Help Home Buyers? I am a Mortgage Professional located in downtown Chicago. I have worked in the mortgage industry for since 2005 . I provide mortgages, both purchases and refinances, for clients ranging from savvy investors to first time buyers. “Each client has a different need and level of knowledge in the mortgage market; it is essential to provide a customized plan for each individual” . Contact ME for all your mortgage needs, and my team of professionals will provide you with the highest level of service.